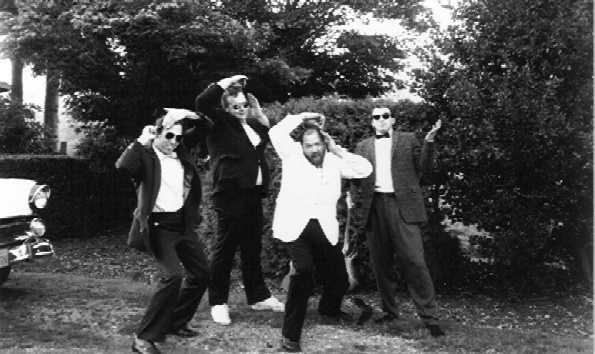 Over the years there have been many players come and go in the Cruisers and several spin-off bands. From this band's beginning the driving force and leader has always been Sam Chapman. As his brother and former band member I would like to thank all the players who performed with Sam and me over the years. Many thanks to all the fans who enjoyed our Muzak and show. Most of all, thank you Sam for being my brother and mentor. What a great memory! I joined the band at age 19. Getting in bars at 19, free beer, groupies, after-hours parties, travel.... WOW... just like "Almost Famous". 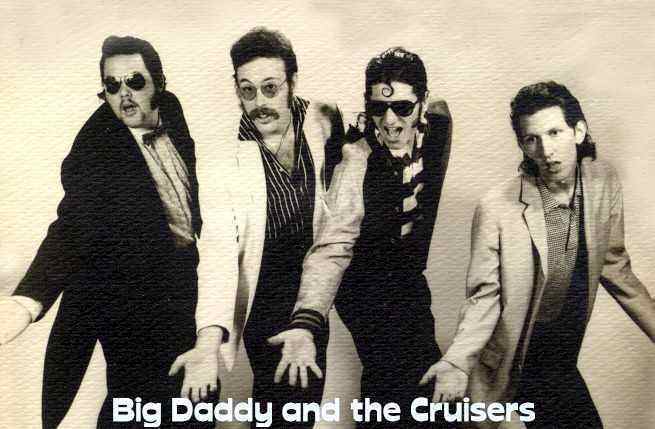 Big Daddy and the Cruisers evolved from Wizzard after Rick Best left the band to join a popular Greaser band called Cheeseburger Deluxe. I replaced Rick on drums. Shortly after I joined the band, we decided to form a show band that had four totally different sets with different themes, costumes and characters. 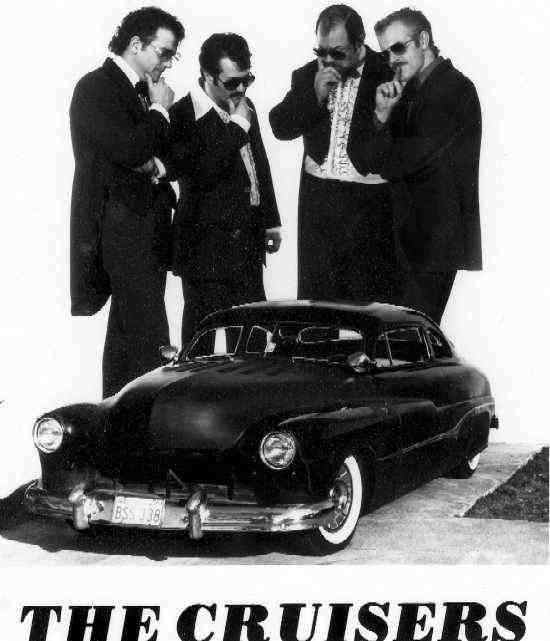 Giving birth to Rod Valve and the Lifters (surf music), and Big Daddy and the Cruisers. We kept the name Wizzard for the cover rock sets. People thought we where three totally different bands. After a time the band dropped the surf and cover acts to play exclusively 50s. Steve Brath left the band in the summer of 74 to join Rick Best playing bass for Cheeseburger Deluxe. Later Stan Knoblich would leave the band to join "Loose Larry and the Bean Barry Delights. Steve was replaced by Greg "Smoky Tire" Nowak, Stan was replaced by Sam "Big Daddy" who went from Standup front-man to Font-man / guitarist (Sam is a great lead guitarist). The band added sax man Phil Kline (a friend from college) and later added Gary "Kid Chrysler" McKinney on keyboards. 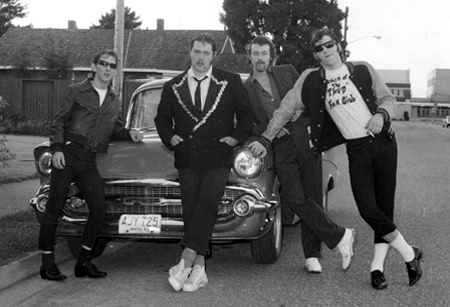 The band divided in late 1975 where Gary, Phil and Greg formed Kid Chrysler and the Cruisers, Mark joined Stan with The Bean Barry Delights, and Sam went on the road for a while and then reformed Big Daddy and the Cruisers with brother Rick and other great musicians.